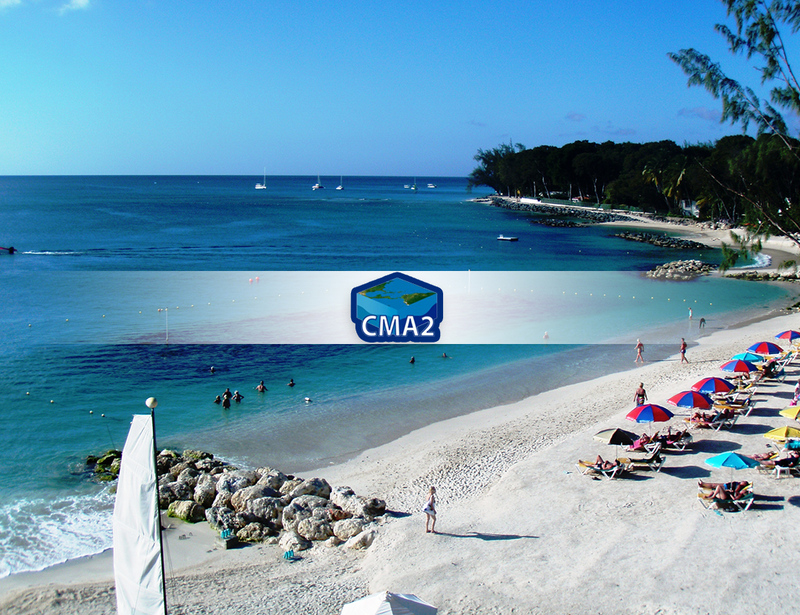 In 2007, following a demonstration of an online atlas of marine data for the African continent, it became clear to the Coastal Zone Management Unit that Barbados and the region would benefit from such a system. An online marine atlas functions as a low-cost data sharing mechanism and decision support tool; and the implementation of an atlas project utilizing regional participants would develop or enhance capacity in areas such as marine data management, geographic information systems (GIS) and web application development. Thus in October of 2007, the IODE and the CZMU organized a regional stakeholders meeting to chart a way forward for a Caribbean Marine Atlas (CMA) pilot project involving eight Caribbean countries as well as technical assistance from ocean data experts from the United States, Belgium and Australia. During 2008, three workshops were organized by the IODE to increase regional capacity in ocean data management and to develop among the participating states, the skills required to develop and maintain the CMA. The CMA2 (2015-2017) now involves twelve countries and continues on the success of the CMA and aims to identify, collect and organize available geo-spatial datasets into an atlas of environmental themes for the Caribbean region under the sponsorship of the Intergovernmental Oceanographic Commission’s (IOC), International Oceanographic Data and Information Exchange (IODE) and Integrated Coastal Area Management (ICAM) programs. This information repository is addressed to professionals in charge of planning, ministries and national and regional authorities, decision makes and potential partners related to ICZM. To access the Caribbean Marine Atlas please click here. A decrease in the useable beach width caused by erosion. The entire group of plants found in an area. a mound like or flat-topped organic reef, generally less than 1 km across, frequently forming part of a larger reef complex. The average height of the surface of the sea for all stages of the tide over a 19-year period, usually determined from hourly height readings. Not necessarily equal to mean tide level. It is also the average water level that would exist in the absence of tides.